Trust is the foundation of any relationship, including the one between consumers and companies. When it comes to beauty, it is only fair that the product that is being offered is a safe and reliable one, after all, it will be in direct contact with the client’s skin. But it is not enough for the product to be safe for the consumer, it should also not harm the environment or animals in its making. For some, this may seem like an impossible task. But not for L’Oréal. The world’s most sustainable company is way ahead of the competition. In 1995, they acquired an eco-toxicology laboratory to measure and model the potential impact of products on the ecosystems (water, soil, air) and on biodiversity. In 1999, they adopted the principles of green chemistry for the synthesis of ingredients. And since 2006, its portfolio of raw materials has been under constant monitoring for environmental indicators. That already seems like a lot, but L’Oréal did not stop there. They launched a global program of fair trade procurement called Solidarity Sourcing. And 14 years before the regulation required, they completely ceased testing its products on animals and make sure there are no exceptions to this rule to this date. “We at L’Oréal know that our consumers place their trust in us to only offer products whose safety has been thoroughly evaluated. We will never forsake that trust, which is why we ensure that all of our products & ingredients have undergone a rigorous safety assessment before they are placed on the market”. This is the commitment L’Oréal has with its customers. 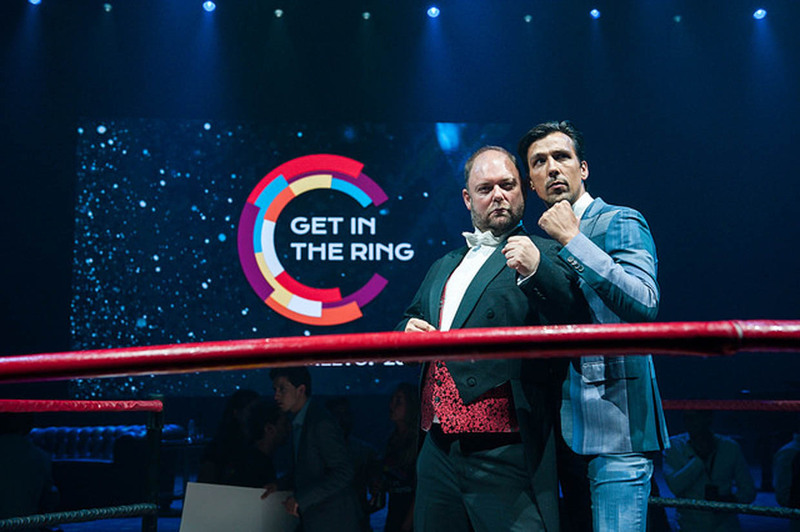 At Get in the Ring, we believe in impact world challenges through innovation. That’s why a partnership with such a revolutionary company is the perfect fit for us. And for the next four weeks we want to find others who are also committed to this goal. Together, we can make beauty fairer, more diverse and environmentally friendlier. L’Oréal is looking to reshape the future of the beauty industry in three ways, and for the second year we are supporting them with this Challenge. First, they are seeking materials, preferably natural, with novel and enhanced properties applicable on skin or hair. That means your next shampoo could contain only natural ingredients that are not only good for the environment, but that also take haircare to the next level. These materials can often come from the most unexpected places, like the food industry for instance. They also want solutions that reinvent the consumer’s beauty routines and experiences, such as diagnosis, personalized and augmented performance technologies. Imagine using AI to to take a skin analysis test, determine your skin diagnostics and have a personalized formula just for you. And finally, L’Oréal wants long-term sustainable solutions (technologies, formulations, devices or materials) that have positive environmental and societal benefits. For example biodegradable and recyclable packaging solutions, raw materials or water personal management solutions. From saliva-based genomic solutions and chemicals derived from natural sources to biodegradable packaging and AI virtual make-up trials. There is nothing too crazy or too out of the box for L’Oréal. Seems ambitious, doesn’t it? We took the Challenge last year, but this year, it’s even bigger, and we’ve never been more ready to connect founders around the world to such an amazing opportunity. Innovation has no borders and luckily, neither do we. One of the reasons L’Oreal want to work with us again is our unique global offering. With a network in more than 100 countries, Get in the Ring has access to the entire world. As world travellers, we are able to digest pockets of knowledge globally. We have local partners in every region, who can point us in the direction of the most sought after entrepreneurs. Supporting innovation and entrepreneurship worldwide is something we’re very proud of. We don’t discriminate against age, location, culture or gender and have been investing in marginalised communities with limited access to a startup support network since we started asking heroes to Get in the Ring. It’s the global aspect that attracts L’Oreal to us. We have a huge network in Africa, a country full of talented entrepreneurs looking for opportunities. African startups have excelled in finding sustainable low-cost innovations – and it’s this sort of local knowledge and experience that is really valuable to a client like L’Oreal. By working with us, they have direct access to startups they would never be able to reach by themselves. The relationships we have built with our heroes mean that we are one of the only global scouting networks on the market that entrepreneurs truly trust. Take last year, for instance. In 2017, one of the startups from our community, Vyome was a finalist and two others, Research X and Pium, were semi-finalists. This success can only be explained by our global reach. The L’Oreal Challenge is a chance for startups with an innovative material, personalized product or sustainable solution to work with one of the world’s biggest brands, access new customers and build their reputation. So, if this Challenge seems like the perfect opportunity for your startup to expand and work with a big corporate, do not wait a minute longer. Help us change the world and redesign the future of beauty.